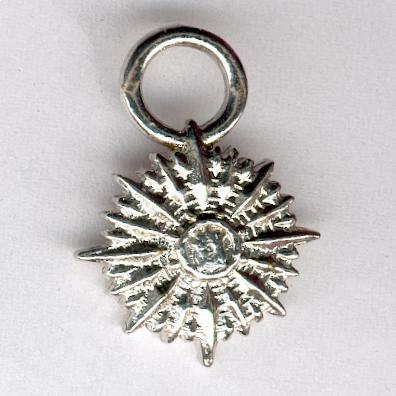 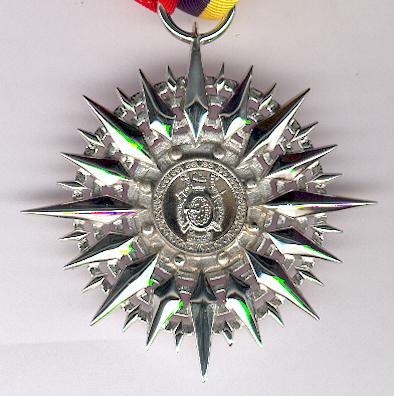 Thirty-two pointed silvered metal star, the arms of four different lengths, each appearing at regular intervals, the two longest lengths four times each, the third eight times and the shortest between each of the others, imposed on three concentric rings and with a circular central medallion, with ring for ribbon suspension; the face with an imposed circular central medallion bearing the arms of the Venezuelan army within a decorated border; the reverse with an imposed circular central medallion inscribed ‘ESTRELLA DE CARABOBO’ (Star of Carabobo); on original ribbon in the national colours of Venezuela; with a miniature of similar design of single-piece construction, diameter 17mm (11/16 inch), lacking ribbon; in original fitted embossed case of issue by N.S. 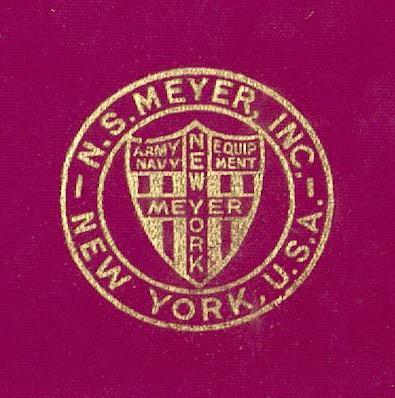 Meyer Inc of New York; of relatively recent manufacture. 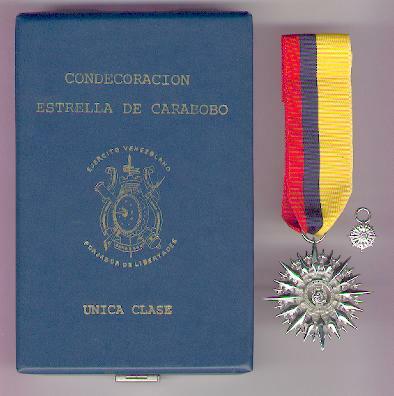 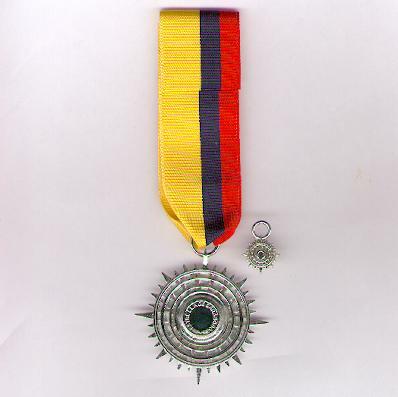 The Order was created in a single class to recognise members of the Venezuelan army for distinguished service and may also be awarded to members of other branches of the Venezuelan armed forces and to civilians for significant contributions to the army. 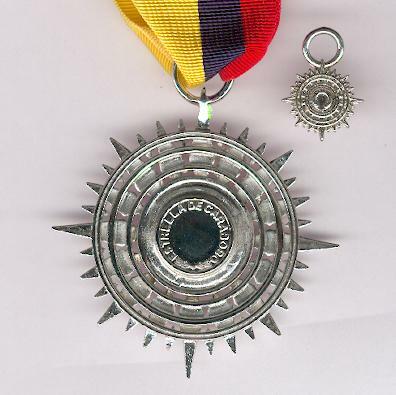 The battle of Carabobo took place on 24 June 1821 and resulted in a decisive defeat of Royalist Spanish forces and the independence of Venezuela. 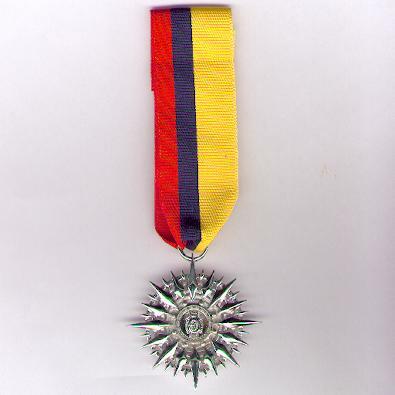 The order is not commonly found.